What an absolute privilege it was for me to share new experiences and new memories for many of our 1-6 students. 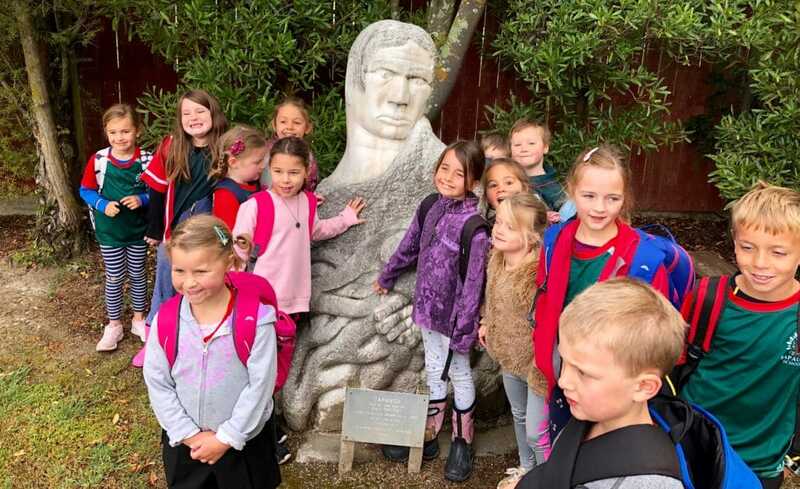 The group was split into two and they both attended a mornings activities, including a powhiri (welcome) onto the marae. Kylie and Sarah were extremely helpful and supportive as they worked with us to make our time very successful. 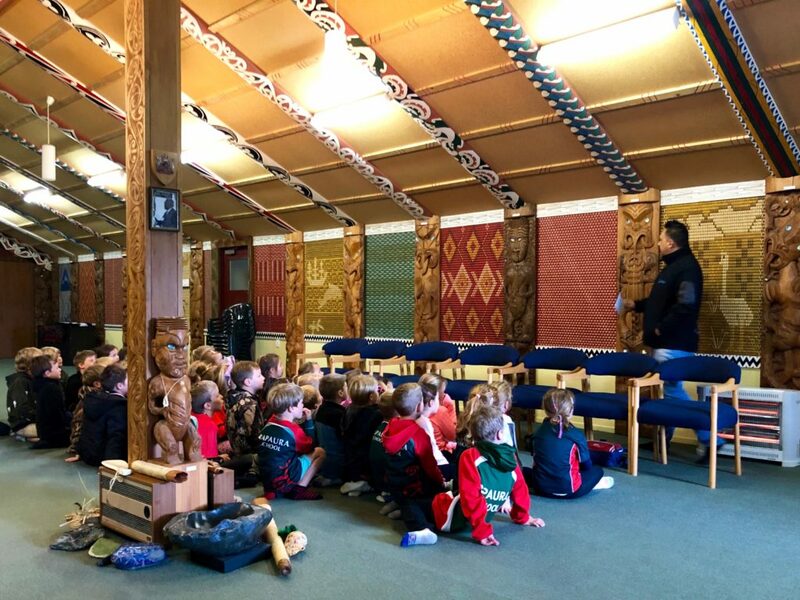 For many of our students this was the first time they had been welcomed onto a marae. From the feedback I’ve had, they certainly learnt a lot particularly as the experience was so real! 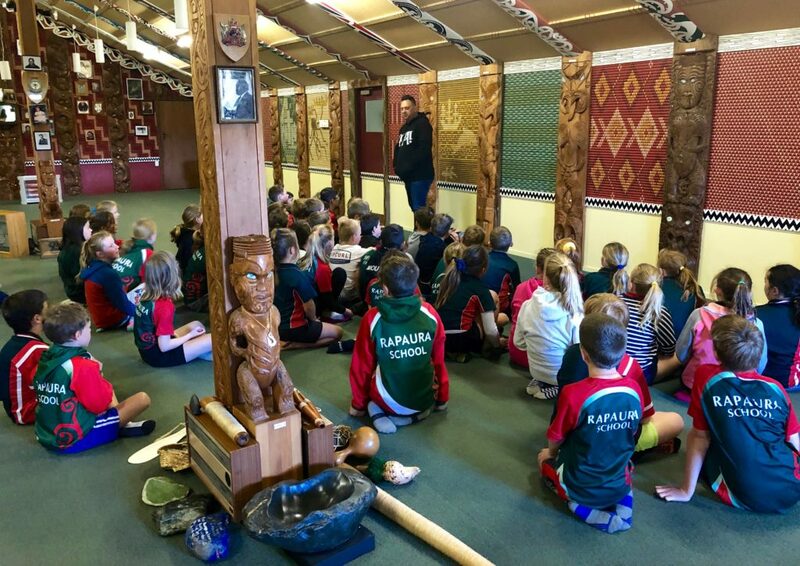 It was great to have Kuia Merehira and her daughter Whaea Pera join us to guide and support our Y4-6 students. 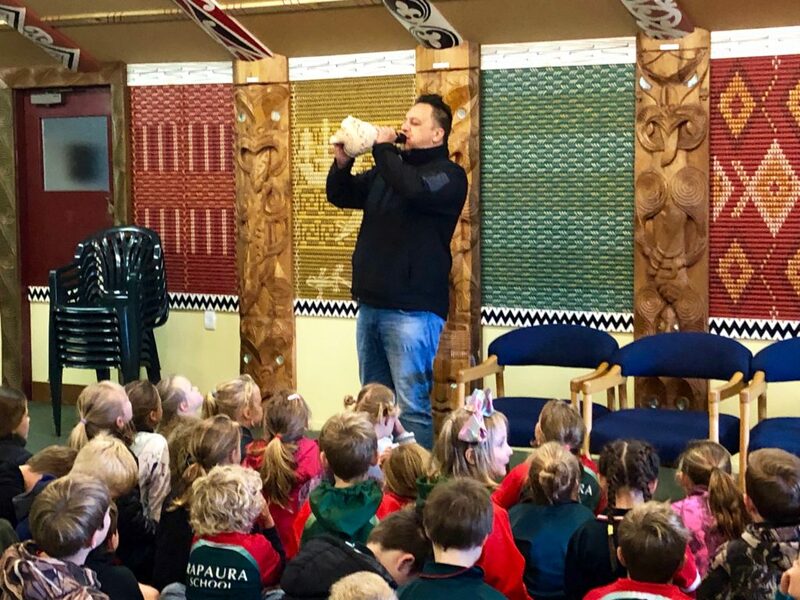 Ka pai Omaka marae, what a beautiful place you have. Kylie demonstrating the power of the instruments used to alert the people. 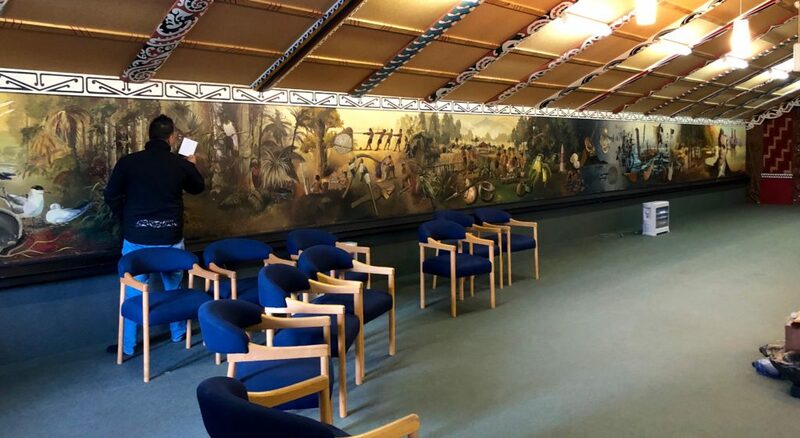 A mural as long as the wharenui showing the first Māori to the arrival of Captain James Cook. 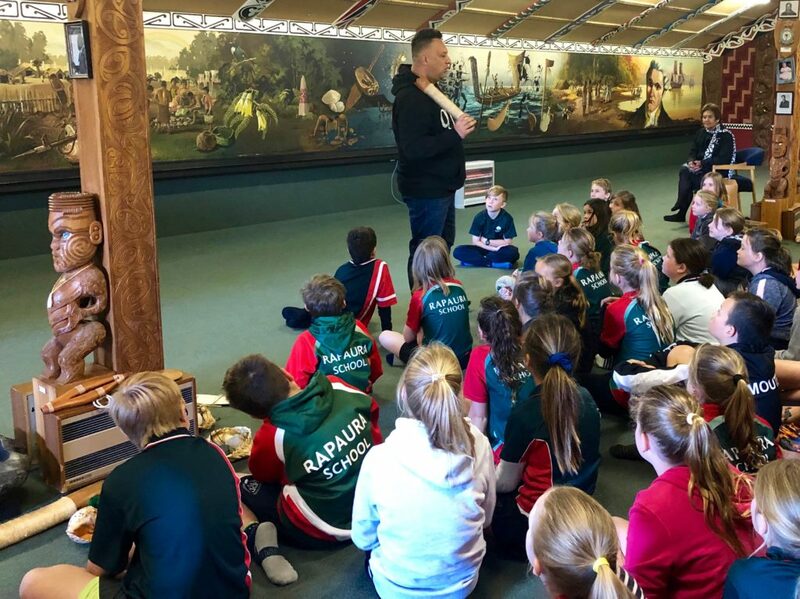 Kylie sharing the stories from the tukutuku panels.